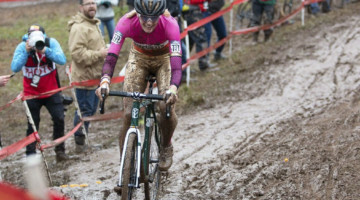 Wout van Aert's trip to the U.S. for the Jingle Cross and Waterloo World Cups did not go as he had hoped, but he did have an impressive machine to help him deal with the dust and heat. 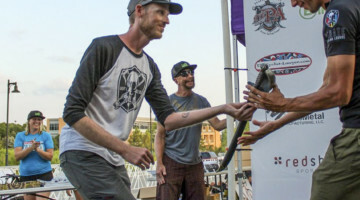 Last year when we saw the two-time world champion sweep his three races in the U.S., he was riding a Colnago Prestige that we profiled at CrossVegas. 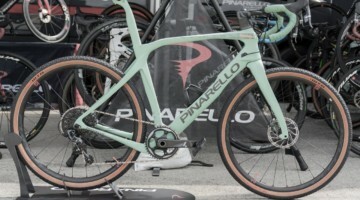 Van Aert's team changed to Crelan-Charles at the beginning of the year, and with the change came a hop onto a Felt bike. 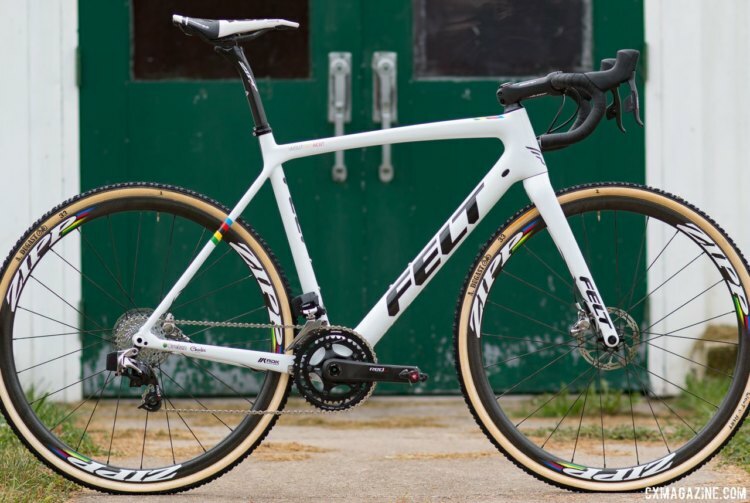 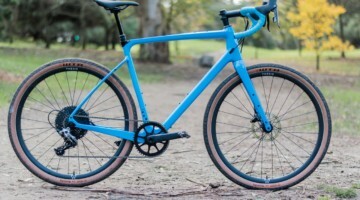 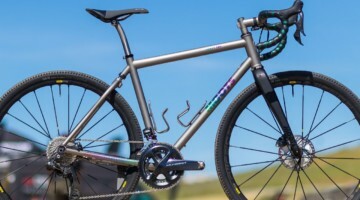 Felt offers the F1x model, formerly with a unique Shimano Di2 Build but now with a $4199 SRAM Force 1 complete build and a $1999 frameset, but its highest-end cyclocross frame is the $3999 F FRDx frameset, which uses the company's UHC Ultimate + Texteme® carbon fiber to form a package that weighs just 3.6 pounds for the frame, fork, headset and thru axles, (91 grams lighter than the UHC Advanced-based F1x frameset). 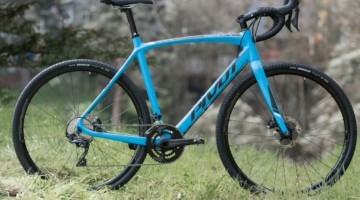 Van Aert uses this F FRDx frameset, and has it built up with SRAM Red eTap HRD components and Zipp 202 carbon tubulars and Zipp cockpit. 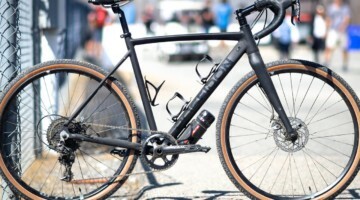 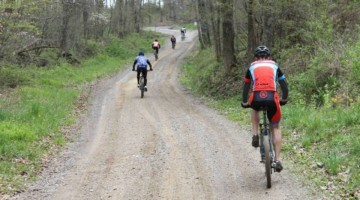 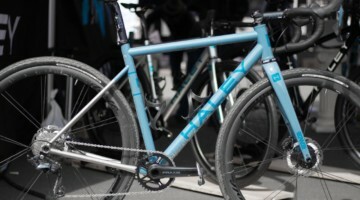 Last month at Jingle Cross, we looked at his latest setup. 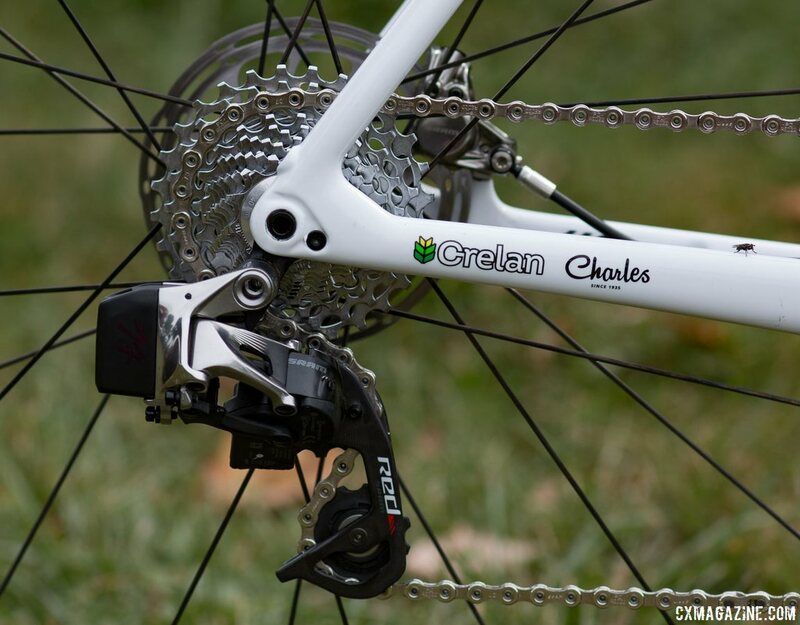 Not much has changed with Van Aert's setup since we looked at his Colnago Prestige a year ago. 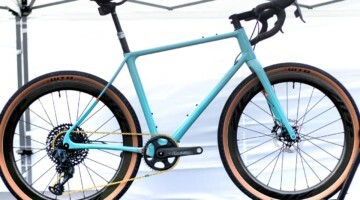 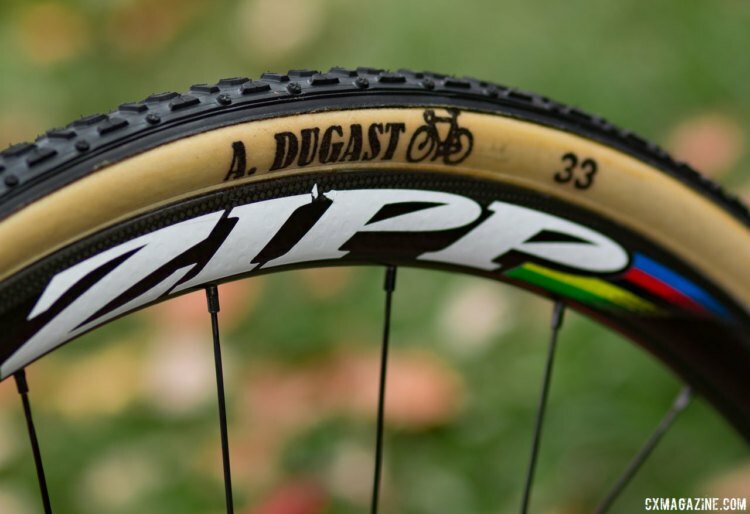 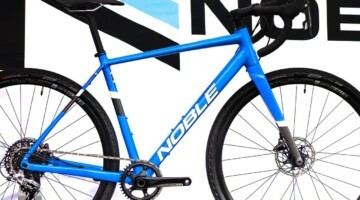 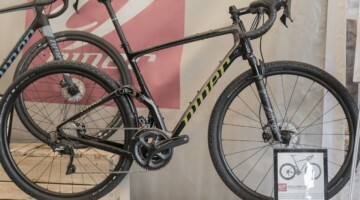 The frame is different, obviously, and at Jingle Cross, Van Aert was running Zipp 202 Firecrest tubulars, which have a shallower 32mm depth than the 45mm deep 303s we saw in 2016. 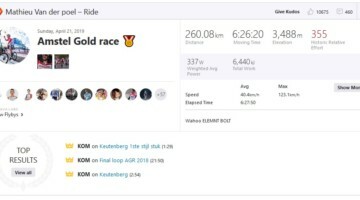 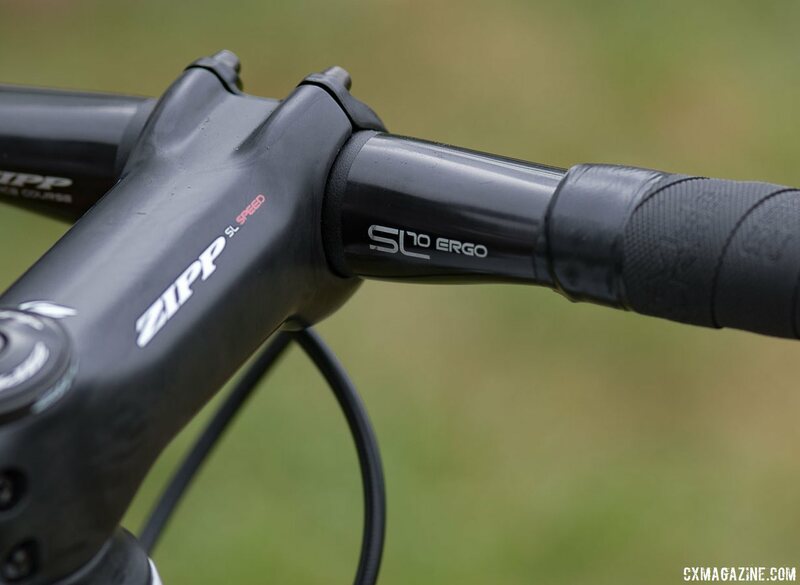 The double chainring eTap drivetrain and Zipp 202 pairing is what we saw Jeremy Powers use last season—unique choices compared to the typical SRAM Force 1 and Zipp 303 setup used by most SRAM-sponsored athletes. 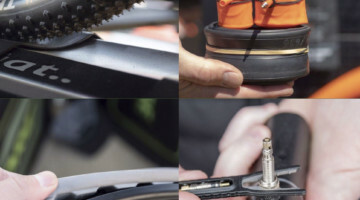 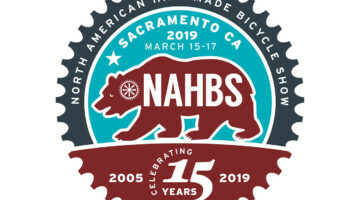 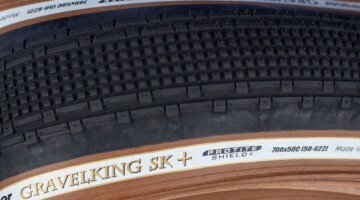 In Iowa City and Waterloo, we saw Van Aert eschew Niels Albert's old double-casing Michelin Mud tubulars in favor of his standard Dugast sew-ups. 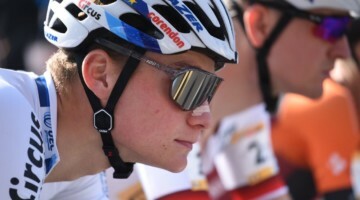 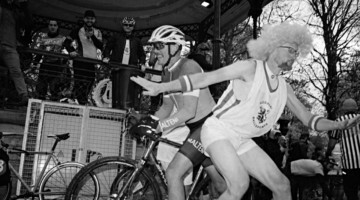 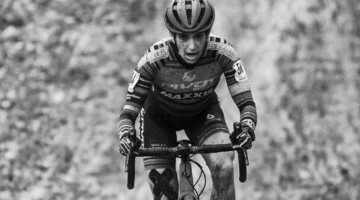 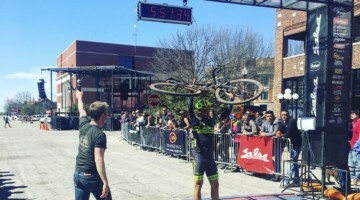 The World Champ said that his Iowa World Cup "was a real sufferfest" and it was the first time as a pro he felt that way. 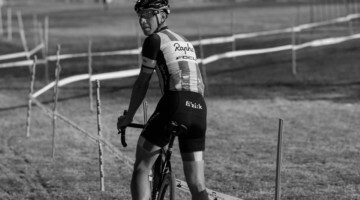 However, it didn't stop him from showing off his stripes and putting on a show for his U.S. fans. See the photo gallery below the specs for an in-depth look at Van Aert's 2017 Felt FRDx cyclocross bike and setup.